Ruggadised Asset Protection System (RAPS) is a robust, reusable modular plastic packaging system designed for the transport of elongated ‘high end’, drilling tools used in the oil and gas industry. Materials include plastic polyethylene, high tensile galvanised steel, brass and stainless steel components, which combined, provide a structure to endure onshore and offshore use and are capable of providing a secure and protective environment for your drilling tools. 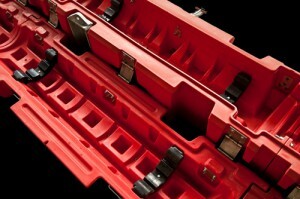 RAPS replaces the need for creation of wooden boxes for the transportation of drilling tools. Designed to provide a protective environment for up to 4,000kg, with no need for fumigation, RAPS provides the ideal packaging solution for drilling tools.